The Style 11mm Walnut is an 11mm thick laminate floor that is 193mm in width by 1292mm in length. 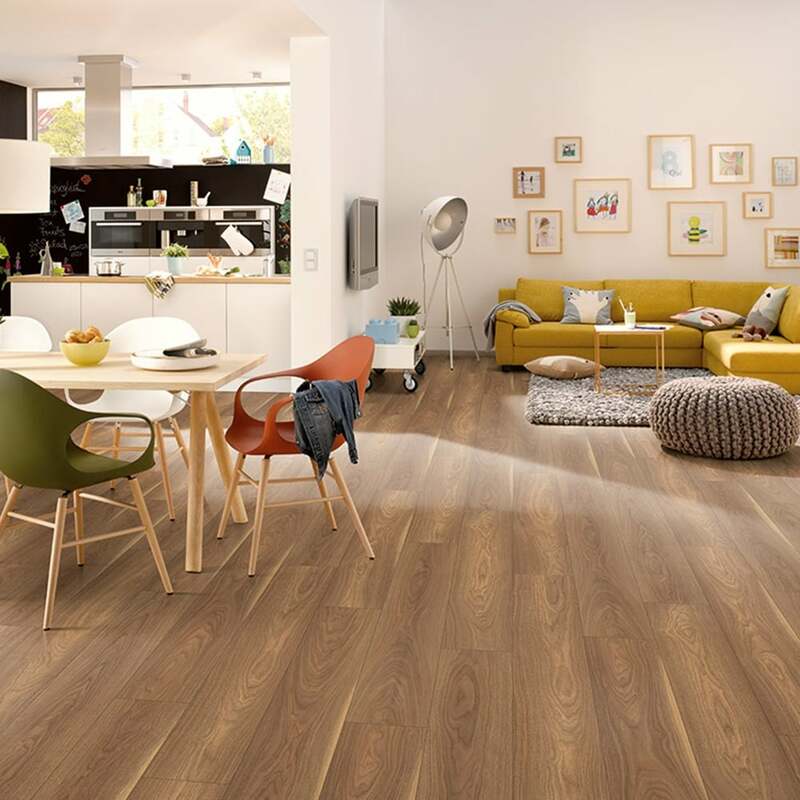 This luxurious board has an AC5 rating meaning that this floor is suitable for all areas of the home and heavy commercial use in areas such as, department stores and public buildings. The click system makes for a quick and easy glue-less installation. The floor can be used immediately as no time is required to be left for the floor to set. Each plank is milled with a four sided ‘v-groove’ which elegantly defines each plank across the length of the floor. At Discount Flooring Depot we want to reassure you that your purchase is not just for one or two years but for 25 years, and we also provide you with a residential warranty. This laminate flooring will suit many interiors and is a beautiful contract to those with light furniture.